Colors are pretty, and Holi is all about creating flamboyant atmosphere everywhere around. Is your mouth already drooling while thinking about Gujiya and other special delicacies? With lorries of zesty savories, it becomes difficult to control your cravings during the festive season. Are you ready to celebrate this auspicious colorful and toothsome festival? We know it’s just impossible to resist devouring scrumptious sugar-coated relishes, but ignoring fitness is also not a convenient option. Folks in India strongly believe in following Holi Food Traditions. 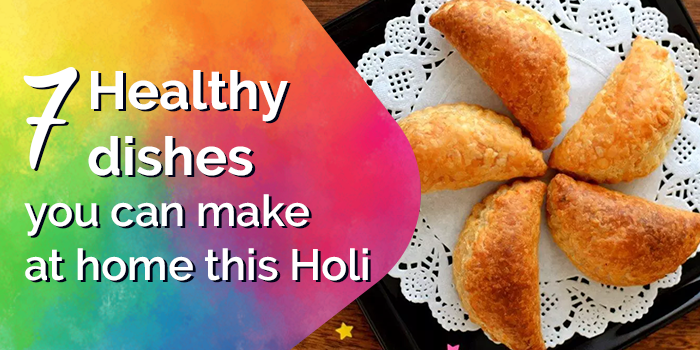 Well, let’s this HOLI be more healthy! Your desire to ditch your diet plan is totally understood, but what if it's replaced with not only healthier but tastier options as well? 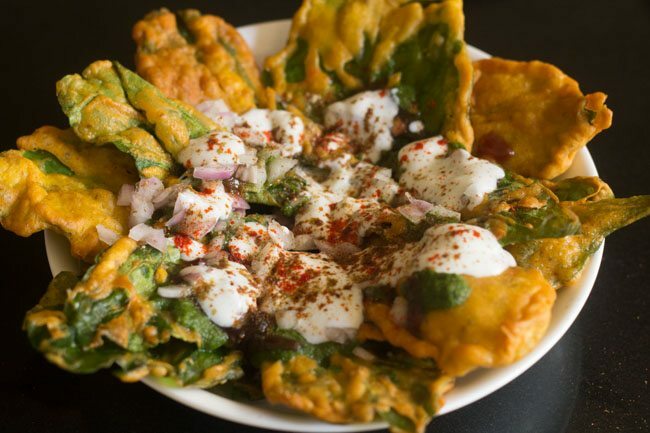 If you’re thinking of making this festival an excuse to binge on more and more calories, let us aware you of few scrumptious Holi Food Items before you load anything mindlessly. Foods that will raise your spirits and wake up your senses in a jiffy are right around you! Haven’t heard before? 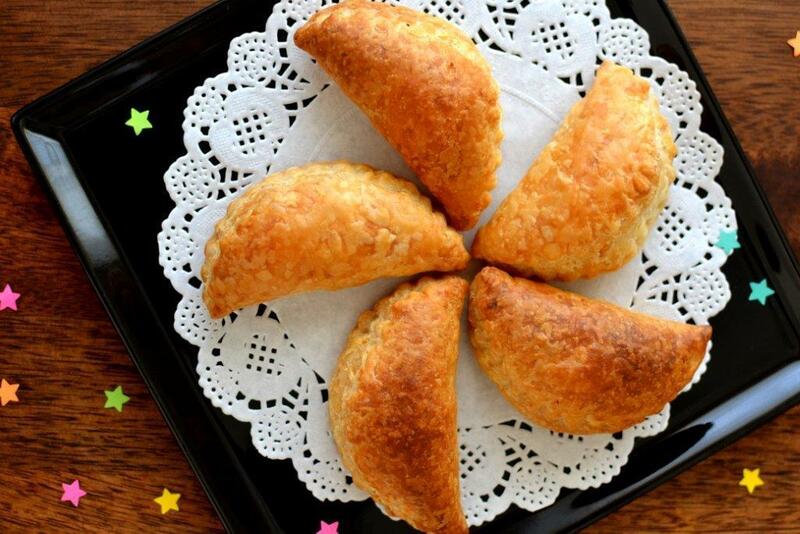 But, if you wish to relish the crisp of sweet fried Gujiya, Baked Gujiya will definitely be a Holi Special Food! Again, we don’t mean anything fried here! Grab some boiled potatoes and add blanched spinach leaves to them. Don’t forget to have curd at side. A delicious recipe is ready to gobble up by you! Holi and Bhaang go hand in hand. But, you don’t want to put your health at risk, do you? We know that and have thus brought to you more toothsome drinks to sip. 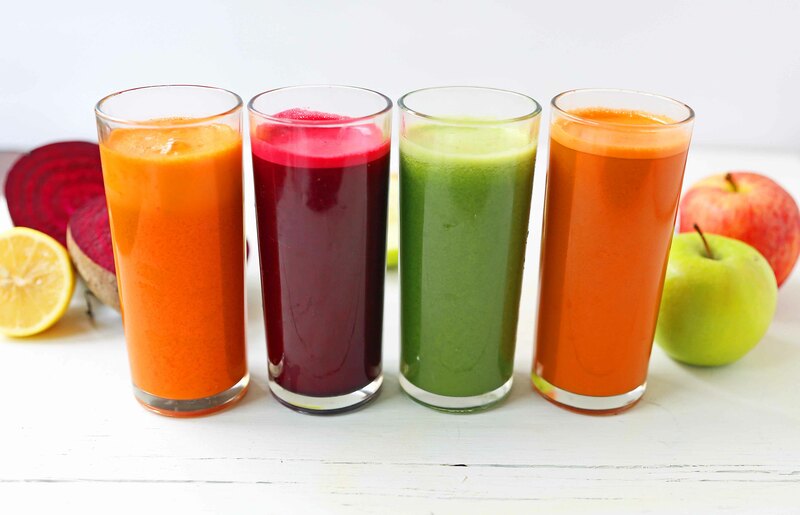 Aam Panna, Thick Lassi, Milkshakes, Veggie Smoothies, Fruit Juice Shots, Dry Fruit Shakes, Lemon Water, Jal Jeera, and Coconut Water will be perfect beverages to try this rainbow festival! HOW ABOUT A BOWL OF FRUIT HALWA? You can have it as much as you want. Replace Semolina with any fruit of your choice. More fruit will bring more nutrition to you. 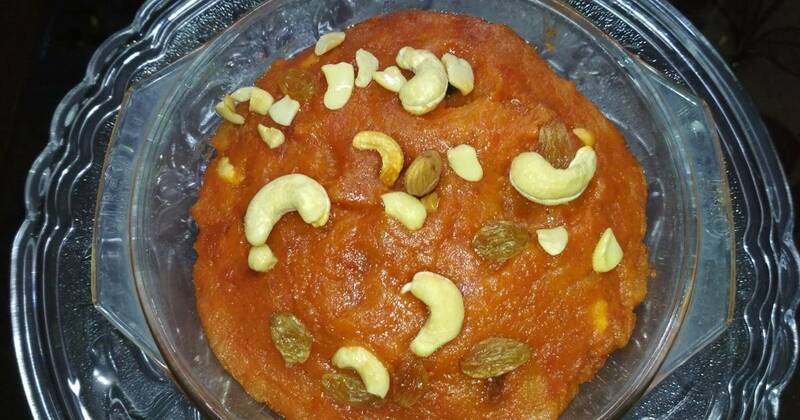 Nothing can be as delicious as Fruit Halwa to satisfy your cravings this Holi! 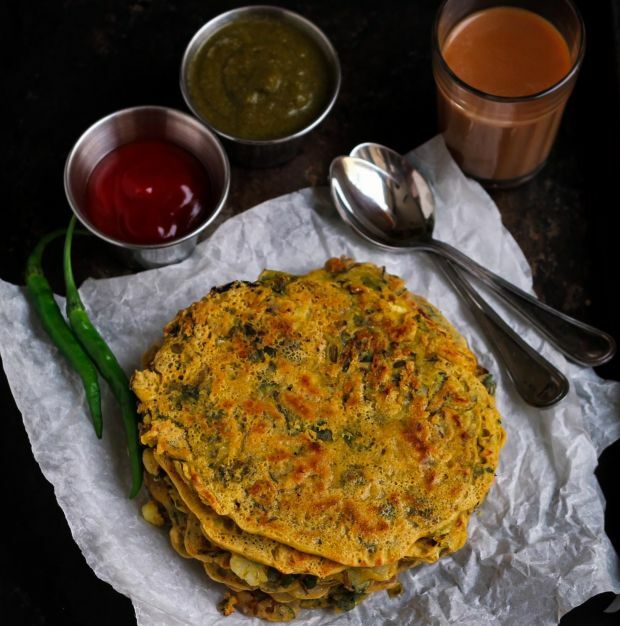 What’s for Holi Breakfast? Why not grab some protein? Let your Cheela be jam-packed with bell pepper, onions, and tomatoes. Accompany it along with tangy-zesty saunth and mint chutney. The name of this delicacy is already making you dripping? After all, such a heavenly sweet dish it is. 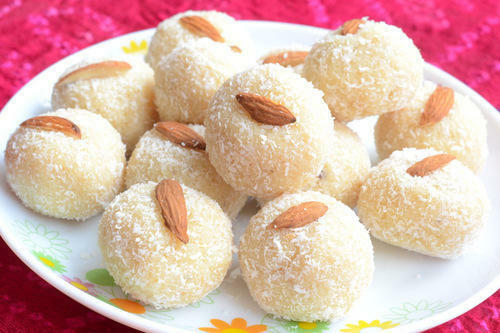 Quench your hunger pangs with throwing some nuts and coconut in preparing these laddoos. That makes a mouth-watering Holi Special Recipe! We know you’d like everything colorful. So, why not choose Idli for same? 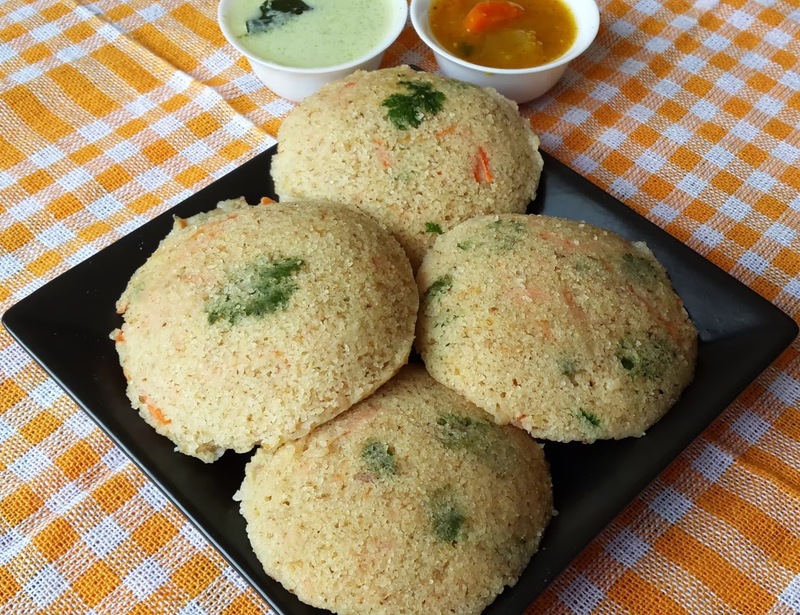 Catch up with beans, peas, and carrots and go extra miles to make Oats Idli with them. Add this low-fat option into your Holi Lunch menu and go with the flow! A complete NO-NO to oily, spicy, and extra sweet foods. Be careful of the number of calories you binge on. Pick only freshest foods while spying on the expiry date concurrently. Reach your hands on sautee’, grilled or baked Holi Snacks. Cool your system with booze of pudina, coriander, and back salt stirred with water altogether. When sweet tooth bothers, just feed your belly with dates, apricots, and Anjeer barfi. Masala milk crammed with a generous amount of saffron, cardamom, pistachios, and almonds will always work great as a Holi Drink. These tips will help you stay fit while giving a palatable treat to your starving taste buds. No more fear of disrupting your weight loss plans or affecting that hard-earned waistline. 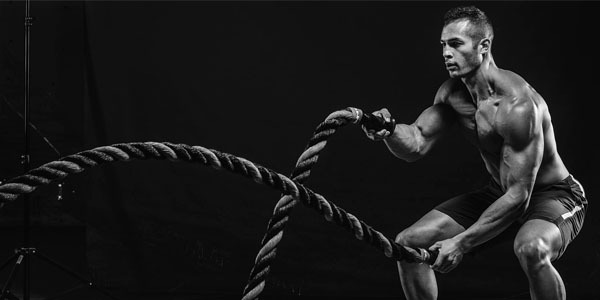 Benefits Of A Keto Diet - A Way To Get A Healthy And Toned Body.